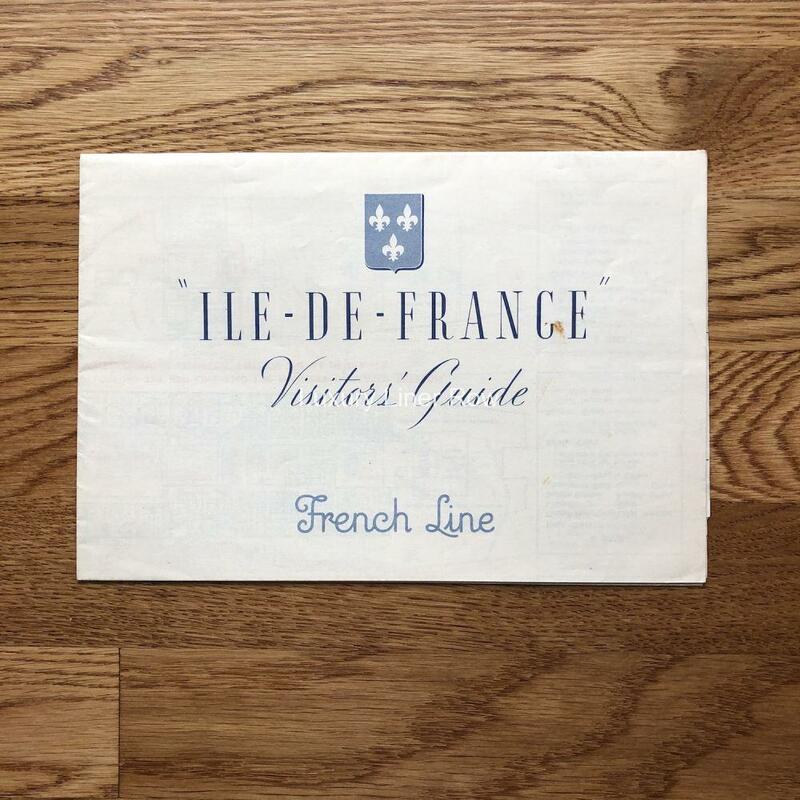 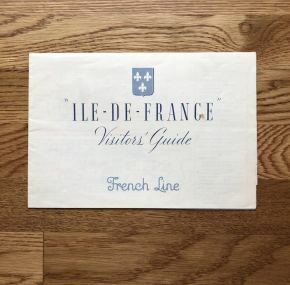 One of the more unusual items I have had for the Ile de France–a Visitor’s Guide with a pre-determined tour route marked in red on the deck plans inside. 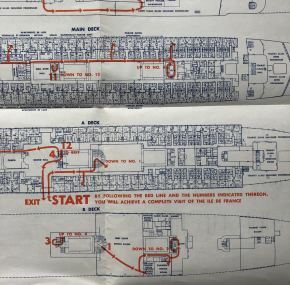 The tour started in the Grand Hall on A Deck and took you throughout the first-class areas of the ship from Sun Deck down to C Deck. 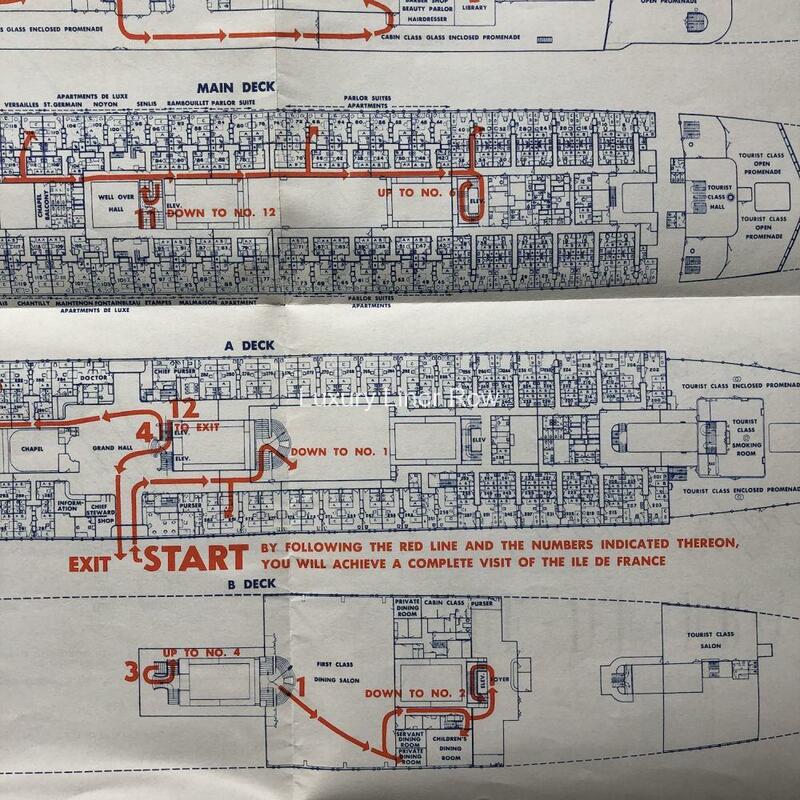 It even included a peek into various cabins so you could see the different categories available. 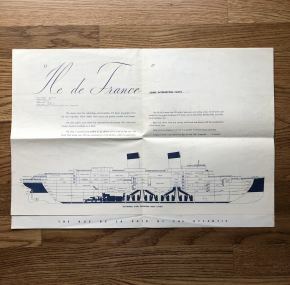 Who wouldn’t want to go on this tour? 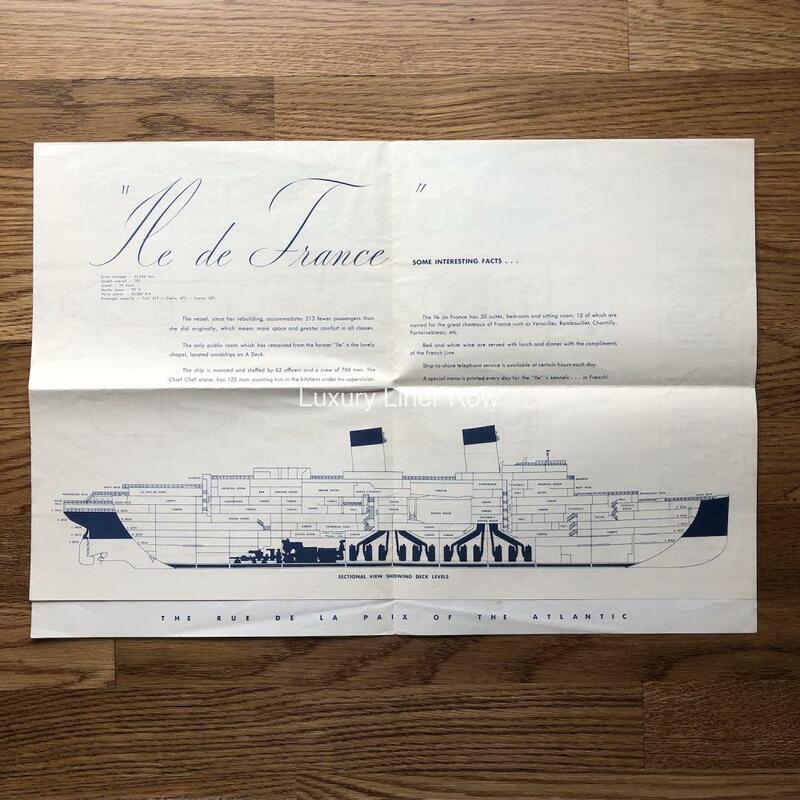 Measures about 24.75″ x 18.75″, and I’m sure that not too many of these survive.